It rained the afternoon we left Maligcong, Bontoc, to accompany our Backpack Photography participants back to Baguio. It was as if the heavens held its showers for three days and finally relented. 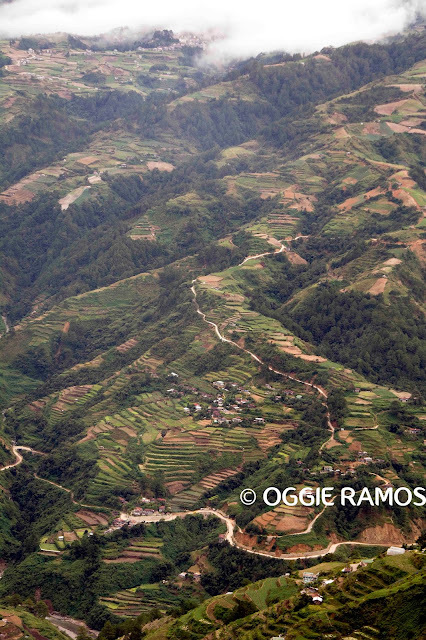 The temperature held steady at 19 degrees in the outskirts of Baguio where we stayed overnight as it was late in the day and there were no more buses going back to Bontoc. We woke up to better weather and boarded the 10am bus the next day, enjoying a slightly longer slumber and we were spared from the head/body-swaying/slamming episode we had days earlier on the GL bus. The trip though was still quick. Maybe it was just me but I thought Kunig, Suzette's Homestay's resident canine, looked happy to see us back so soon. Thinking the improved weather will hold, we planned some astro photography but the heavens had other plans. It rained. And rained some more, well into the morning, spilling and flowing into the following days. We thought we had a chance to go back to Mt. Kupapey for the sunrise but instead, the days that followed turned into extended excursions to slumberland. And what deep sleep it was. One night, I woke up to pee in the outhouse restroom and distinctly remembered having a series of vivid dreams. Maybe it was because of the clarity of the mountain air; maybe, its purity and coldness that made for lucid dreaming. Well, I'm not the only one. Days earlier, I woke up in the middle of the night hearing our friend, Erick, talking in his sleep for what seemed like an hour. On the way back to bed, I can't help but pass by the newly-installed over-sized thermometer on the wall to see how much colder it can get with the non-stop rains and windchill. 16 degrees at 2am. A reason as any to wrap myself up in two thick blankets. 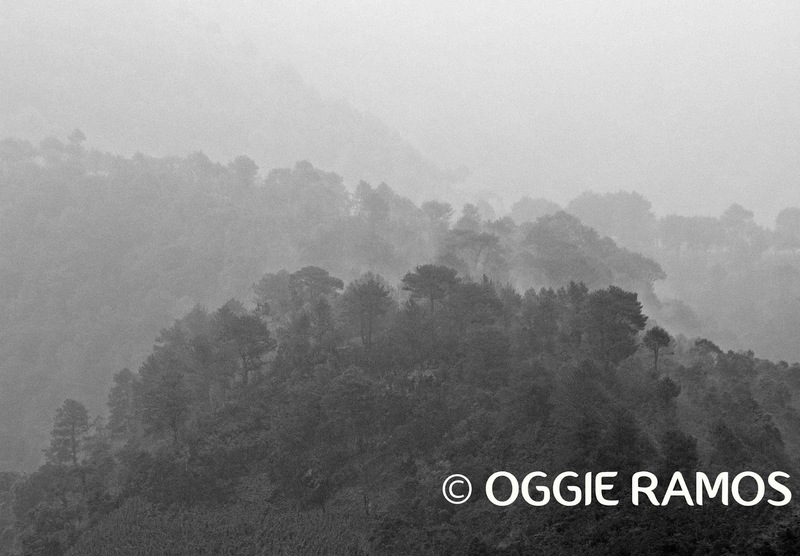 Mornings, thick fog danced across the terraces and distant mountains, alternately hiding and revealing the landscape. With the Globe signal hampered by the precipitation, it was no use trying to do online work. 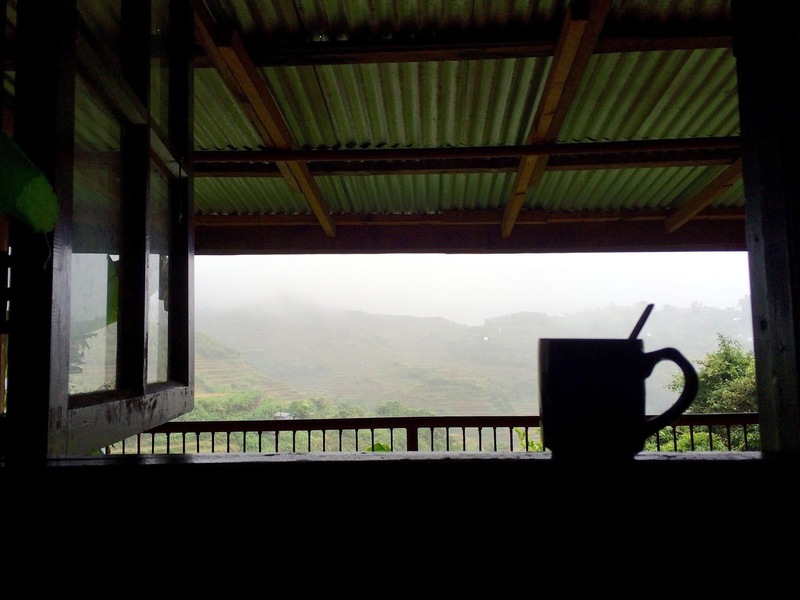 The days were spent instead on sipping mountain coffee (cup after cup after cup), eating, reading writing, sleeping, reveling in the cold, and enjoying this little luxury before plunging back to the hot, humid city and full-time work. There were moments when I stare blankly into the mountains wrapped in fog and rain, time seeming to slow down to a halt. When nighttime came, I spent the hours looking for fireflies (there were more of them than the previous evenings), writing and reading some more, and playing with Kunig. The canine may miss going out for days but he appeared to be enjoying unexpected company (and the generous flow of food that comes with it). I haven't touched my camera for days, haven't done much work but for the time being, even for just a few days, it was a privilege to have pressed the PAUSE button on life.